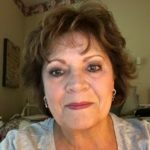 Reviews - Ameri-Cal Repipe and Plumbing, Inc.
Wow! This has been such a great experience. I 100% recommend Ameri-cal Re-pipe & Plumbing for all your repiping and plumbing needs. 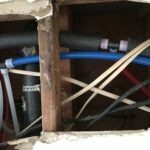 I was recommended by my electrician, who is doing a full electrical rewire of my house, to look into re-piping my water pipes while the walls were open. I agreed, so I looked on yelp and found Ameri-Cal repiping. I saw that Ameri-Cal had great reviews so I sent a message on yelp on a Saturday evening and I got a reply from Toby right away. That night, I chatted with Toby and he gave me a very fair estimate. And we agreed to meet at the house the next morning to walk through what needed to be done. Toby answered all my questions, gave recommendations, and provided a contract. There was no pressure, he left the contract, I told him that I would have to think about it, but it only took me a few hours to call him back to confirm the job. I just couldn’t think of any reason to not go with Ameri-Cal plumbing. I did a lot of research and not only did Ameri-Cal have the best customer satisfaction it had the best price. They were in and out in 2 days. One day for the plumbing and another day for the re-patch. The plastering company also did the whole back on my garages for pennies compared to the other quotes I go. Paul, the person who gave me the quote, answered my texts at 9pm and immediately addressed any questions or concerns I had. Of the 4 people I had give me a quote, Paul was the nicest and didn’t deviate from the estimate he gave on the phone and was in and out in 15 minutes. Paul was very professional and didn’t push me to do anything. If you’re doing a repipe, this is your company! I’m a General Contractor and this is the first time I used these guys, the job was a large repipe. They are great guys, super honest and hard working. I will use them for many more jobs ahead. Ask for Alex and Gabrielo, both are amazing and will take care of you. Mike Tomasevich Rockwood Homes – Design and Construction. Very pleased with the services. We actually contacted the company to see if they undo clogged drain. They do… they quickly came and took care of the matter within 5 minutes. Very professional! We also hired them for a whole house water filter system (Puronics BPS water treatment system) due to the unknown contaminants in the city water. This is to ensure the whole family health and wellness, and also the longevity of the whole house piping system. Many corroded house water pipes are due to the chemical treatment added in the city water that get sent to each household. That’s scary! Think of what goes in your body after all that corrosion! Installing the purification system is only a very small price to pay if you take into consideration of the cost of future re-piping of the whole house and also health care cost of sick family members. We made the right decision I know, because the water now taste much sweeter and fresh, and the best part is that all faucets are potable now! I can even drink water while showering! This company provided the most information and correspondence, which to me is very crucial. I know all the members on the team take pride in their work and customer satisfaction is very important to them. I am so happy that I found them! We had a leak between the first and second floor of our home. The water was finding its way through an electrical box on the first floor ceiling; this is a situation that needed attention immediately. 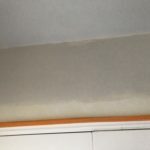 We called Ameri-Cal Plumbing and the owner stated that he would contact his team in the field and see if anyone could get to our home quickly; they were all out on assignments. The team of Armando and Jaime showed up quickly, found the leak and repaired it within 20-30 minutes. Both men were very professional, taking extra precautions not to track the plumbing mess all over the house. Yes, you should call Ameri-Cal Plumbing. Profession, quick, clean and courteous. Finding a reliable plumbing company is not easy today. I’m writing this review because I’ve found the best plumbing company in Orange County, Ameri-Cal. Reliable, affordable and efficient. I had the pleasure of having Armondo come by to fix a worn sprinkler system. The frozen valve that controlled the whole system was very old. Armondo had that replaced in no time. Adjusted everything and checked the system to make sure in was functioning like it’s supposed to. I forgot to mention, I waited two days for someone else to repair it, they never showed up or called. Hmmm. Lost out on my business. Thank you Armando! Since many of our neighbors have had pipe leaks, we decided to get ahead of the problem and have our home re-piped before we have a problem. I ask some of my neighbors which company they used and there was a lot of bad stories which concerned me. After reading the reviews on Yelp, I called Ameri-Cal. Paul came out and explained the entire process and gave us a quote. He was very kind and patient. When I hired him I told him that I hope there are no issues like my neighbors had. He re-assured me that if there was, they would all be taken care of. He was true to his word, anything that needed some attention after the initial installation was taken care of. Alex Rivera made the repairs. Alex is not only a great plumber, he is also a very nice guy. I highly recommend Ameri-Cal Repipe & Plumbing. HIGHLY recommended! I messaged several companies to get a second opinion on a hard-to-diagnose problem. Ameri-Cal was the only company that messaged or called me back! The technician, Alex, was very thorough and professional. 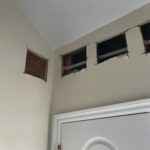 Even though the first company I had look for the problem had already gone “down under” the house, he still offered to go down, and found the problem, which was much more simple to repair than I was expected. They saved me thousands of dollars. Thank you! This is a great company. They did repipe of my home three years ago and I could not be more pleased. If you are looking for a repipe or a plumber, look no further. I would like to recommend whoever want to do re-pipe with Ameri-Cal Repipe and plumbing. they did amazing jobs and gave me a good deal. I re-piped my whole house with Pex tubing. I love it. there is no vibrated sound when turn on water. 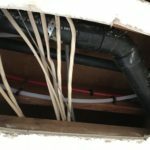 I recommend whoever re-pipe their houses please use PEX tubing. Ameri-cal repipe and plumbing used all materials made in USA. that is the first thing I love it. From start to finish, they covered all furniture in the house. after the team re-piped, next another team came to patch the cutting holes. they patched all the holes, you can’t even tell the difference from before and after. They did a very good jobs. I love it. Sprung a slab leak in my home. Since we have had several leaks in the past five years we decided it was time to re– pipe. Contacted several companies. Toby from Americal was at my home within 1 hour. Provided a quote in less than 10 minutes for Pex material with 25 year warranty. I signed the contract right then. He was honest and very fair with his estimate. Toby scheduled us ASAP. His crew showed up the next day at my house first thing in the morning. They re–piped my entire home in less than five hours. My home is a 2 story four bedroom 2 1/2 bath 1800 ft.² these guys were professional and really knew what they were doing. My water was back on and fully functional by midday. The next day the patch and drywall crew were again at my doorstep first thing in the morning. These guys had all the holes in the drywall patched and textured and were done by end of day. I highly recommend anyone looking to re– pipe their home to get in touch with Toby at Americal. You will not be disappointed. Funny enough my neighbor had same type of leak while we were in the middle of re-piping my home. I recommended Toby and he’s doing their home. 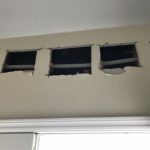 Having just renovated my house, and knowing that I would one day have a slab leak (as have many neighbors), I decided to proactively repipe my house to have all plumbing moved above ground. I conducted evaluations of several potential plumbing companies, and ultimately chose Ameri-Cal Repipe, which turned out to be an excellent decision. From the first engagement with Toby and the folks at Ameri-Cal, I was impressed. Toby’s initial walk through and estimate was very thorough; he provided me with details of exactly what, how, and when everything would be done. In the following days as I had more questions, Toby responded to my text messages immediately with answers and reassurance that the job would be done right. Throughout the process, Toby was extremely polite and professional. Upon initiating the work, the process proceeded as follows. On the first day, four plumbers repiped our entire house with PEX. On the second day we had an inspection, and on the third and fourth days drywallers repaired dozens of holes in the walls. Each and everyone I interacted with from Ameri-Cal Repipe, whether in person, on the phone, or via email, was courteous, respectful, and demonstrated the utmost in professionalism. 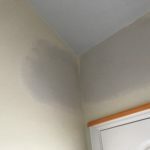 I am extremely pleased that I chose Ameri-Cal to do this work and would definitely recommend them for repipe work, as you can be assured they will be respectful of you and your home and do a great job. Slab leak. Called several different plumbers and repipe specialists. We decided to do a full repipe for our triplex. Toby called and asked to earn our business. Long story short… repipe was done in 1 day. $2000 cheaper. Drywall was amazing, Carlos and his crew did magic. Passed inspection no problem. Told them I was getting the money together from the bank, they said no problem. Didn’t charge anything upfront. Sent the full payment today. No stress, no inconvenience. Do yourself a favor and call these guys. Recommending these guys is no problem at all. Toby went way out of his way to accommodate my hot water heater needs (even on New Years). They did not have to go out of their way for me but they did. I would say that Toby spent about 3 hours finding the heater that i needed. Not an easy task on new years. Sam came out the same day to replace my water heater. He was so courteous, professional, clean and knowledgable. Their pricing was not the cheapest but very fair. what i lost in the budget was made up in the service. I was pleasantly surprised with Ameri-cal plumbing and now I can call them my new plumber. I was referred to Ameri-Cal by a neighbor. We decided we needed a complete re-pipe after our second pipe burst in 2 years. From the beginning they were very professional. Paul, took us through the process and explained how some incremental work we wanted done would be handled. Often, what “the salesman” says and what the “implementation crew” says don’t match. Not the case here. The company is in lock step, from the expectations to the reality. They were on time, fast, and efficient. What was promised was delivered. We could not be happier with the result we received and we would highly recommend them to others (as we have), to deliver a professional, quality job from start to finish. Toby was awesome. He was willing to stop by multiple times after-hours. Communication via text made things super convenient for my lazy millennial self. Honestly though, the transparency and speed of the work done were great – will be doing business with them again. We had a gas leak in our stove, it’s probably been going on a while but we just got our bill and it was way higher than normal. We requested these guys to come out an stake a look. Within minutes of my online request, I got a text for more information. I appreciate communicating through text in this day and age it’s my preferred method so I loved that! Anyway in less than an hour (awesome response time!) they send over Isaac, who was very courteous and put on show covers before coming in. He was able to find and fix the problem in our stove right away. It was $150, which I feel like is a small price to pay for not dying in my sleep or accidentally blowing our house up. Issac was also kind enough to check on our water heater at the last minute and give us some info on that. Thanks for the quick and efficient service!